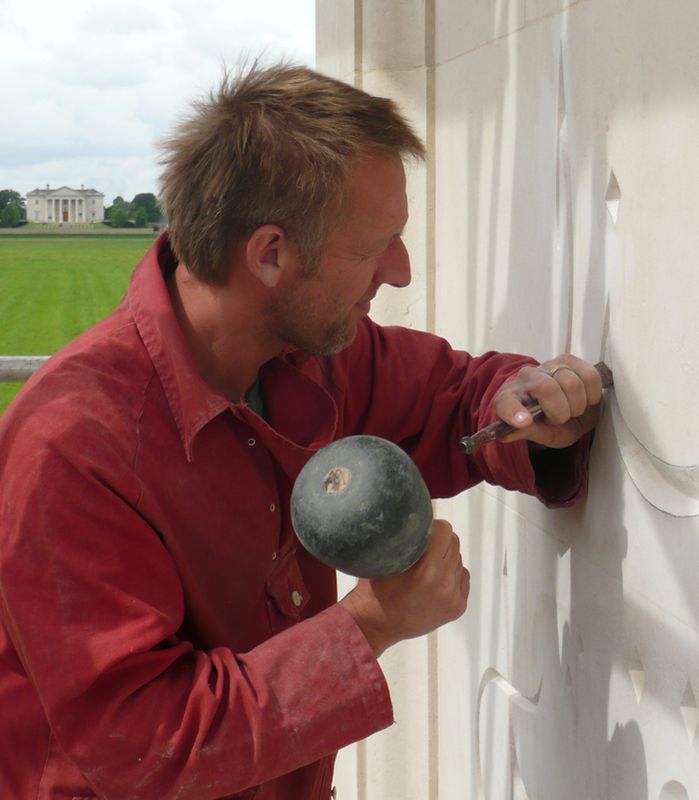 I have been working on an exciting project this month. 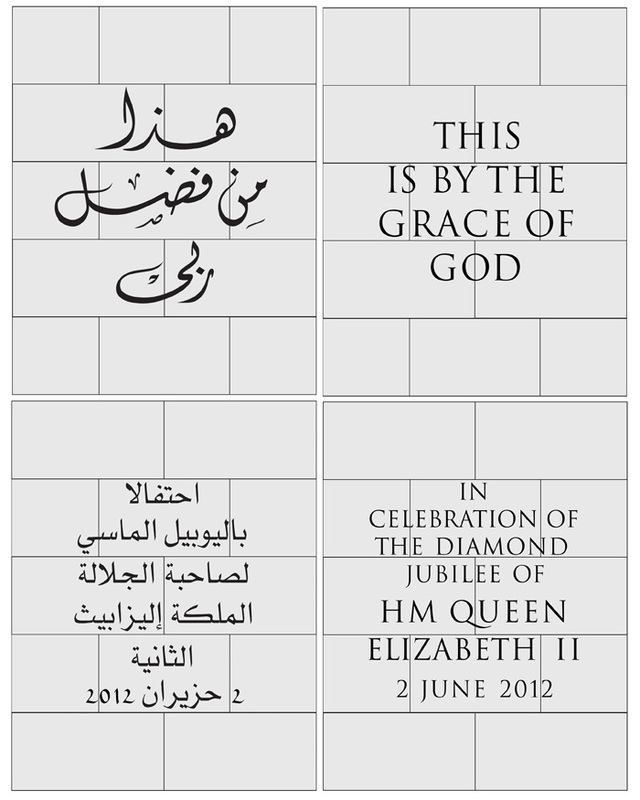 I have been commissioned to carve four inscriptions on an obelisk near Bicester. 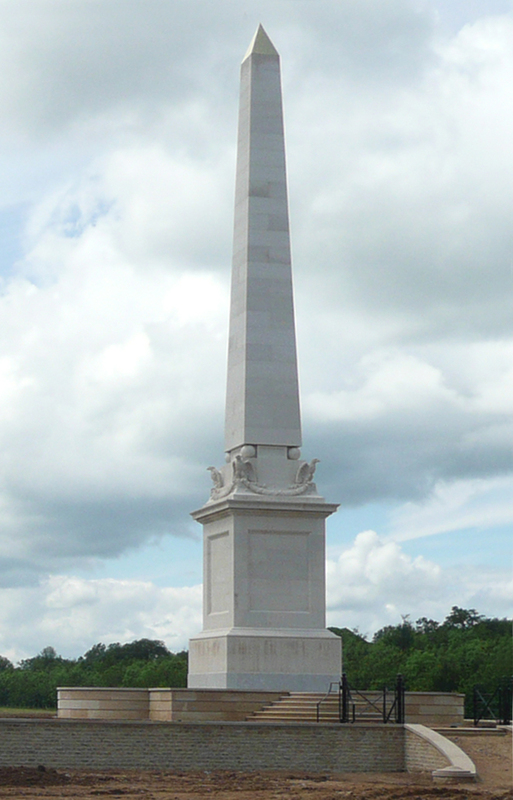 The obelisk measures a huge 25 metres from plinth to apex. 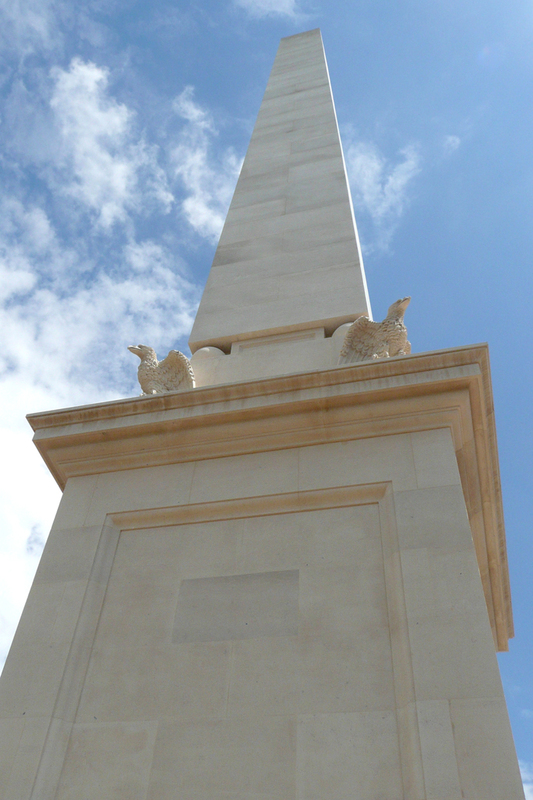 It is made from Massangis French limestone. 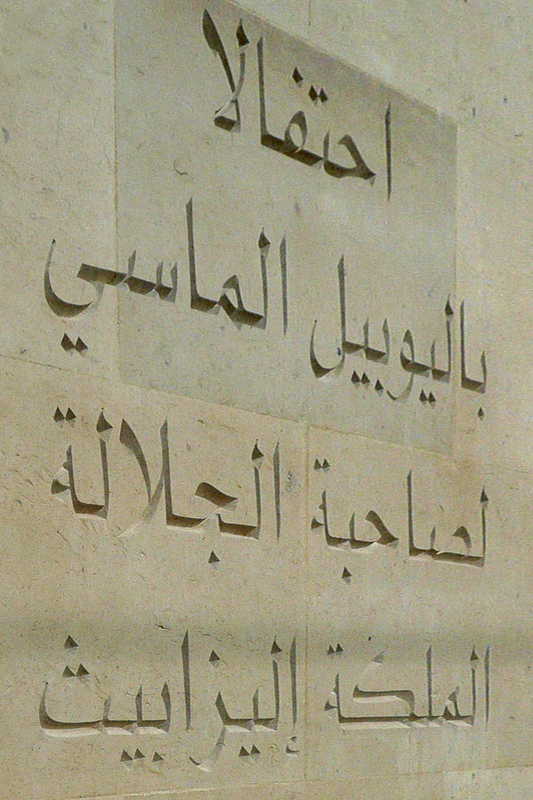 The inscriptions are on all four sides of the base, two in Arabic and the other two being their English translations. 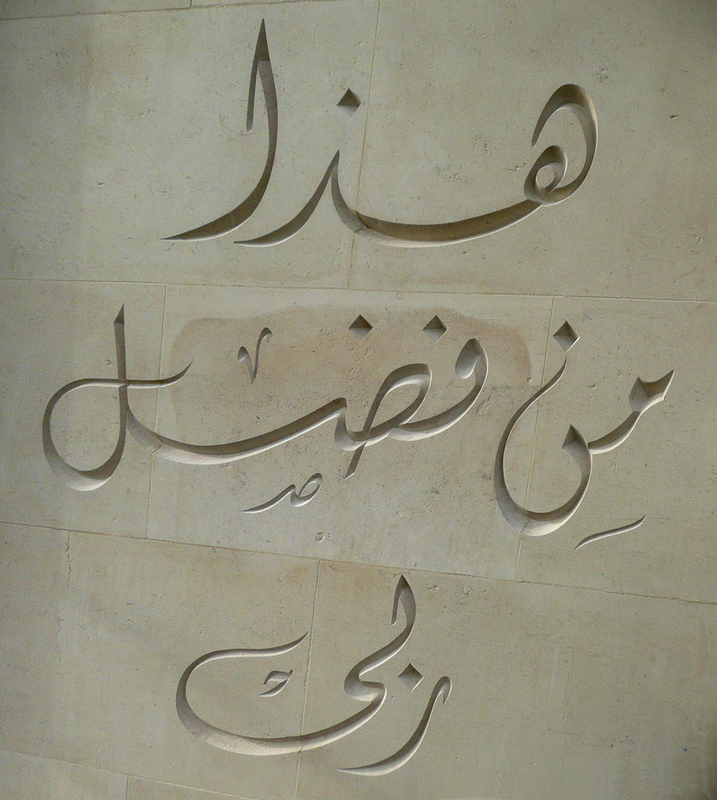 One of the Arabic sides is calligraphy produced by Saadi Al Timimi, and the other Arabic inscription is a typeface. 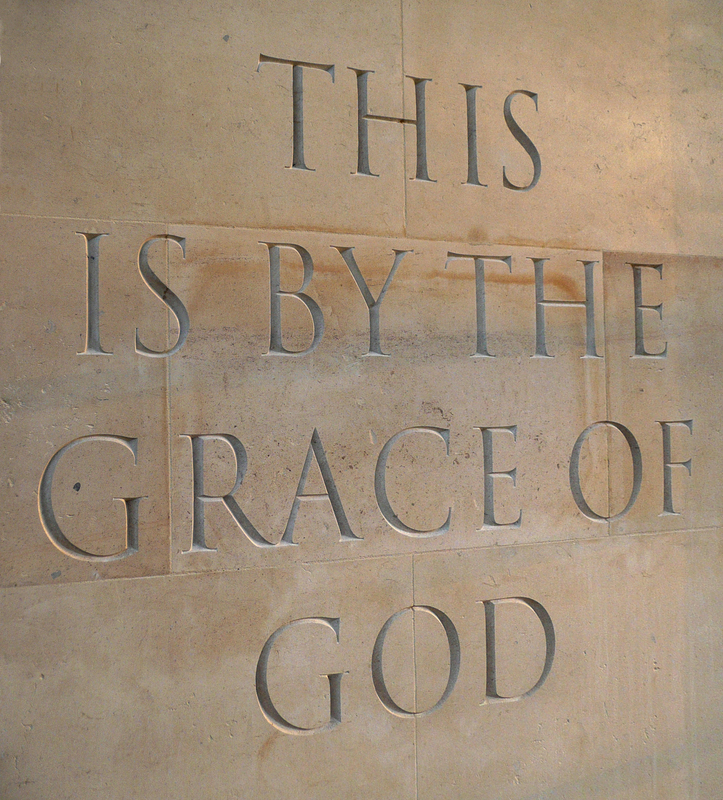 The Roman lettering is based on the Roman Trajan inscription, but tweeked here and there, especially regarding the weight of the serifs. I have been helped by Gary Breeze, Stuart Buckle and Martin Cook. 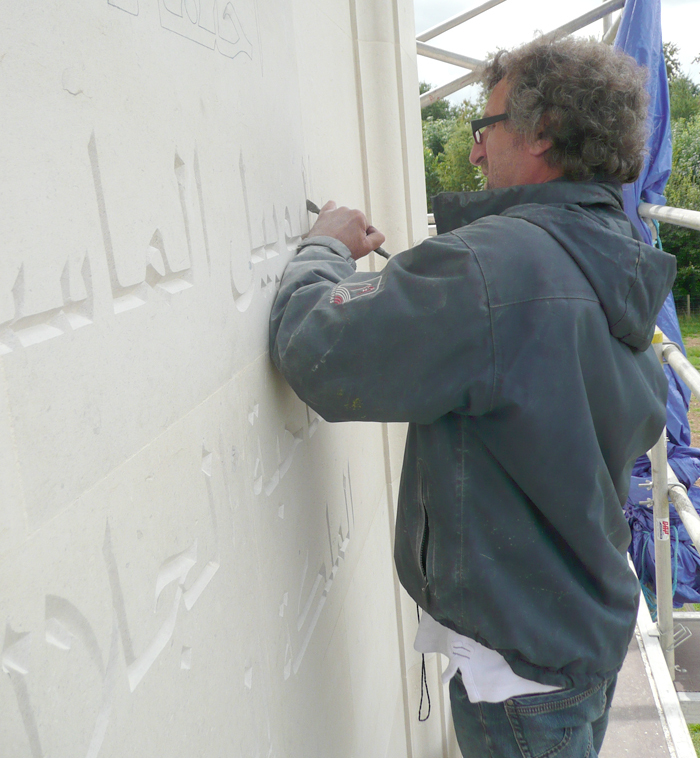 I’m back on site this week to give the lettering a final going over and to think about mixing colours for painting the text. 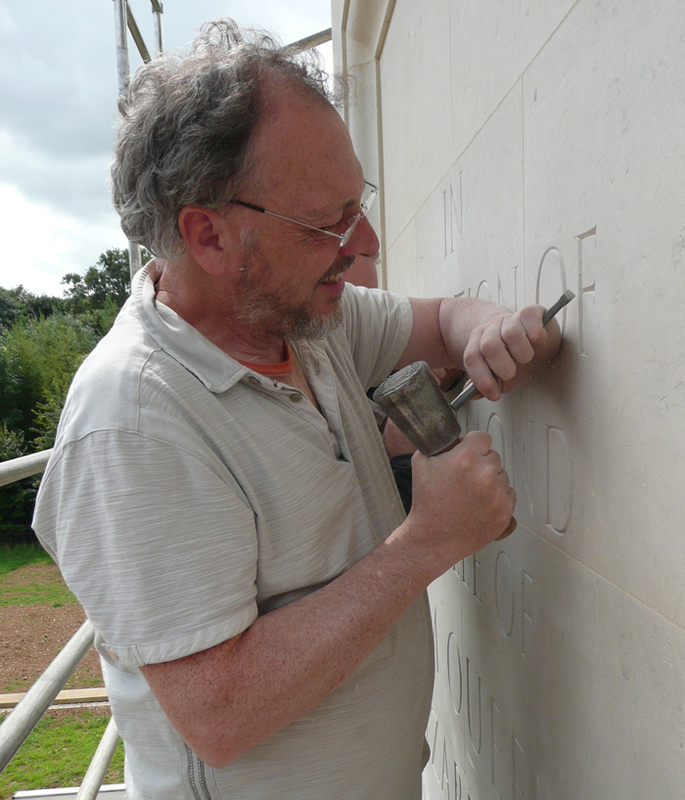 Although the inscriptions are deeply carved, they will need colouring to be legible from a distance of 30metres, which is where they will generally be seen from. I’ll show more pictures once the work is finished. 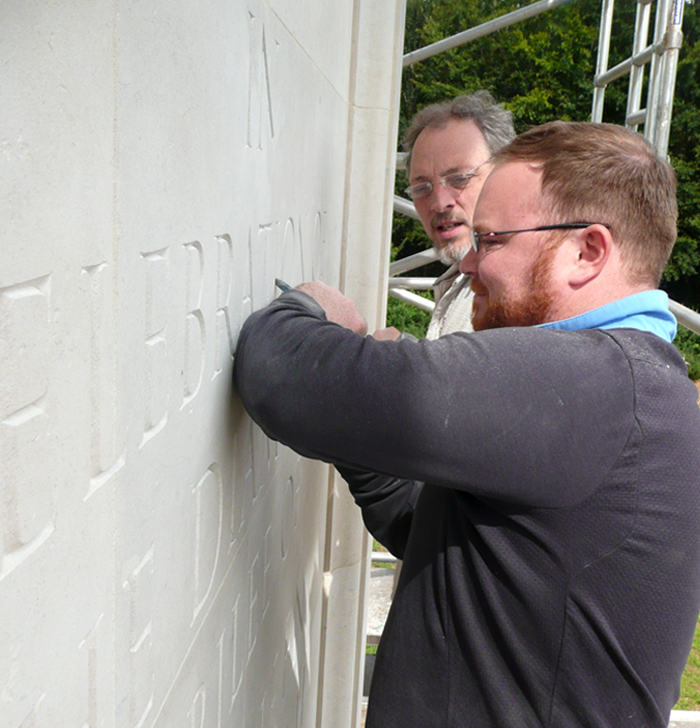 The four pictures below show sections of the lettering on all four sides of the base, prior to the inscriptions being painted. 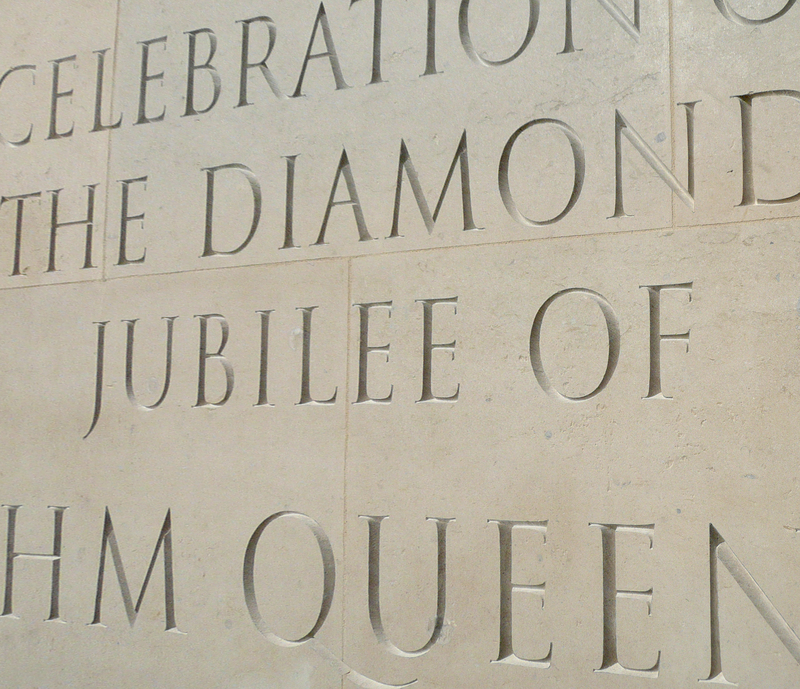 This entry was posted in Applied Lettering, design and spacing, lettercutting, stone carving, typography and tagged carved lettering, french limestone, lettercutting, massangis limestone, roman lettering, tusmore house, tusmore park. Bookmark the permalink.